Continuous electronic FHR monitoring during labor, a routine procedure in many hospitals, is associated with an increase in cesarean and instrumental births without improving Apgar score, NICU admission or intrapartum fetal death rates. IA allows women more freedom of movement during labor, enhancing their ability to cope with labor pain and utilize gravity to promote labor progress. Upright positions and walking have been associated with shorter duration of first stage labor, fewer cesareans and reduced epidural use. Don’t use physical restraints with an older hospitalized patient. Restraints cause more problems than they solve, including serious complications and even death. Physical restraints are most often applied when behavioral expressions of distress and/or a change in medical status occur. These situations require immediate assessment and attention, not restraint. Safe, quality care without restraints can be achieved when multidisciplinary teams and/or geriatric nurse experts help staff anticipate, identify and address problems; family members or other caregivers are consulted about the patient’s usual routine, behavior and care; systematic observation and assessment measures and early discontinuation of invasive treatment devices are implemented; staff are educated about restraints and the organizational culture and structure support restraint-free care. Studies show sleep deprivation negatively affects breathing, circulation, immune status, hormonal function and metabolism. Sleep deprivation also impacts the ability to perform physical activities and can lead to delirium, depression and other psychiatric impairments. Multiple environmental factors affect a hospitalized person’s ability for normal sleep. Factors include noise, patient care activities and patient-related factors such as pain, medication and co-existing health conditions. Don’t place or maintain an indwelling urinary catheter in a patient unless there is a specific indication to do so. Catheter-associated urinary tract infections (CAUTIs) are among the most common health care-associated infections in the United States. Most CAUTIs are related to urinary catheters so the infections can largely be prevented by reduced use of indwelling urinary catheters and catheter removal as soon as possible. CAUTIs are responsible for an increase in U.S. health care costs and can lead to more serious complications in hospitalized patients. Don’t use aloe vera on skin to prevent or treat radiodermatitis. Radiodermatitis can cause patient pain and pruritus that affect quality of life, body image and sleep. Severe radiodermatitis can necessitate dose reductions or treatment delays that negatively impact the ability to adequately treat the cancer. The incidence of radiodermatitis can be as high 95% depending upon the population of patients receiving treatment. Studies documenting incidence have primarily occurred in women receiving treatment for breast cancer. Many Internet sites market aloe to individuals for what is commonly termed “sunburn type” reactions from radiation therapy. Research evidence shows that aloe vera is not beneficial for the prevention or treatment of radiodermatitis, and one study reported worse patient outcomes with use of aloe vera. Patients undergoing radiation therapy need to know that aloe vera should not be used to prevent or treat skin reactions from radiation therapy, since it has been shown to be ineffective and has the potential to make skin reactions worse. Don’t use L-carnitine/acetyl-L-carnitine supplements to prevent or treat symptoms of peripheral neuropathy in patients receiving chemotherapy for treatment of cancer. Peripheral neuropathy is a chronic side effect of some chemotherapeutic agents. This can be a significant quality of life issue for patients, affecting functional ability and comfort. In the public realm, numerous Internet sites that sell herbal and dietary supplements have specifically recommended L-carnitine/acetyl-L-carnitine for symptoms of peripheral neuropathy. This supplement is available without a physician prescription. Evidence not only has shown use of carnitine supplements to be ineffective, but research also has shown it may make symptoms worse. Current professional guidelines contain a strong recommendation against the use of L-carnitine for prevention of chemotherapy-induced peripheral neuropathy. Nurses need to educate patients not to use this dietary supplement while undergoing chemotherapy for cancer. Don’t neglect to advise patients with cancer to get physical activity and exercise during and after treatment to manage fatigue and other symptoms. During treatment for cancer, up to 99% of patients will have fatigue and many individuals continue to experience persistent fatigue for years after completion of treatment. It is the natural tendency for people to try to get more rest when feeling fatigued and health care providers have traditionally been educated about the importance of getting rest and avoiding strenuous activity when ill. In contrast to these traditional views, resistance and aerobic exercise have been shown to be safe, feasible and effective in reducing symptoms of fatigue during multiple phases of cancer care. Exercise has also been shown to have a positive effect on symptoms of anxiety and depression. Current professional guidelines recommend 150 minutes of moderate-level exercise such as fast-walking, cycling or swimming per week along with 2-3 strength training sessions per week, unless specifically contraindicated. Don’t use mixed medication mouthwash, commonly termed “magic mouthwash,” to prevent or manage cancer treatment-induced oral mucositis. Oral mucositis is a painful and debilitating side effect of some chemotherapeutic agents and radiation therapy that includes the oral mucosa in the treatment field. Painful mucositis impairs the ability to eat and drink fluids and impacts quality of life. Oral mucositis can result in the need for hospitalization for pain control and provision of total parenteral nutrition in order to maintain adequate nutritional intake during cancer treatment.Mixed medication mouthwash, also commonly known by other names such as “magic mouthwash,” “Duke’s magic mouthwash,” or “Mary’s magic mouthwash,” is commonly used to prevent or treat oral mucositis. These are often compounded by a pharmacy, are expensive and may not be covered by health insurance. Research has shown that magic mouthwash was reported to cause taste changes, irritating local side effects and is no more effective than salt and baking soda (sodium bicarbonate) rinses. Instead, frequent and consistent oral hygiene and use of salt or soda mouth rinses can be used. Don’t administer supplemental oxygen to relieve dyspnea in patients with cancer who do not have hypoxia. Reports of the prevalence of dyspnea range from 21 to 90% overall among patients with cancer, and the prevalence and severity of dyspnea increase in the last six months of life, regardless of cancer diagnosis. Supplemental oxygen therapy is commonly prescribed to relieve dyspnea in people with advanced illness despite arterial oxygen levels within normal limits, and has been seen as standard care. Supplemental oxygen is costly and there are multiple safety risks associated with use of oxygen equipment. People also experience functional restriction and may have some distress from being attached to a device. Palliative oxygen (administration in nonhypoxic patients) has consistently been shown not to improve dyspnea in individual studies and systematic reviews. Rather than use a costly and ineffective intervention for dyspnea, care should be focused on those interventions which have demonstrated efficacy such as immediate release opioids. Don’t promote induction or augmentation of labor and don’t induce or augment labor without a medical indication; spontaneous labor is safest for woman and infant, with benefits that improve safety and promote short- and long-term maternal and infant health. The rate of induction in the United States (23.4% of all births) has more than doubled since 1990. The increase is not thought to be attributable to a similar rise in medical conditions in pregnancy that warrant induction of labor. Researchers have demonstrated that induction of labor for any reason increases the risk for a number of complications for women and infants. Induced labor results in more postpartum hemorrhage than spontaneous labor, which increases the risk for blood transfusion, hysterectomy, placenta implantation abnormalities in future pregnancies, a longer hospital stay, and more hospital re-admissions. Induction of labor is also associated with a significantly higher risk of cesarean birth. For infants, a number of negative health effects are associated with induction, including increased fetal stress and respiratory illness. Research on the risk-to-benefit ratio of elective augmentation of labor is limited. However, many of the risks associated with elective induction may extend to augmentation. In a recent systematic review, the authors found that women with slow progress in the first stage of spontaneous labor who underwent augmentation with exogenous oxytocin, compared with women who did not receive oxytocin, had similar rates of cesarean. Such results call into question a primary rationale for labor augmentation, which is the reduction of cesarean surgery. In addition to the serious health problems associated with non-medically indicated induction of labor, hospitals, insurers, providers and women must consider a number of financial implications associated with the practice. In the United States, the average cost of an uncomplicated cesarean birth is 68% higher than the cost of an uncomplicated vaginal birth. Further, women who deliver vaginally have shorter hospital stays, fewer hospital readmissions, faster recoveries and fewer infections than those who have cesareans. Don’t prescribe opioid pain medication in pregnancy without discussing and fully weighing the risks to the woman and her fetus. In utero exposure to opioids can lead to risks for the infant, including neonatal abstinence syndrome (NAS) and/or developmental deficits affecting behavior and cognition. Pregnant women’s use of opioids dramatically increased from 1.19 per 1000 hospital births in 2000 to 5.63 per 1000 hospital births in 2009. Prescription opioids are among the most effective medications for the treatment of pain. However, regular or long-term use of opioids can create physical dependence and in some cases, addiction. Women who are prescribed, or continue to use, opioids during pregnancy may not understand the risks to themselves or their babies. Pregnant women and their fetuses are an inherently vulnerable population and opioid dependence increases their vulnerability. Women using opioids during pregnancy were shown to have higher rates of depression, anxiety and chronic medical conditions as well as increased risks for preterm labor, poor fetal growth and stillbirth. Women who used opioids during pregnancy were four times as likely to have a prolonged hospital stay compared to nonusers and incurred signifi more per-hospitalization cost. Neonatal abstinence syndrome (NAS) occurs in newborns that are exposed to substances, typically opioids, while in their mothers’ wombs. In utero exposure to these substances can cause a newborn to experience withdrawal symptoms after birth. Symptoms of NAS vary depending on the type and amount of the substance that the mother used, how the mother and fetus metabolize the drug and how long the mother used the drug. Symptoms of NAS range from blotchy skin and sneezing, to respiratory complications, low birth weight, prematurity, feeding difficulties, extreme irritability and seizures. Don’t separate mothers and their newborns at birth unless medically necessary. Instead, help the mother to place her newborn in skin-to-skin contact immediately after birth and encourage her to keep her newborn in her room during hospitalization after the birth. Keeping mothers and newborns together promotes maternal-infant attachment, early and sustained breastfeeding and physiologic stability. Early initiation of skin-to-skin care and breastfeeding promotes optimal outcomes and can significantly reduce morbidity for healthy term and preterm or vulnerable newborns. Breastfeeding is the ideal form of infant nutrition and should be the societal norm. Given the numerous health benefits for infant and mother and the health care cost savings associated with breastfeeding, breastfeeding has become a global public health initiative that can improve the overall health of nations. Ideally, infants should be exclusively breastfed for the first six months of life; after the first six months, appropriate complementary foods should be introduced, and the infant should continue to breastfeed for 1–2 years, or longer as desired. Worldwide, the lives of an estimated 1.5 million children less than the age of five would be saved annually if all children were fed according to this standard. Don’t administer “prn” (i.e., as needed) sedative, antipsychotic or hypnotic medications to prevent and/or treat delirium without first assessing for, removing and treating the underlying causes of delirium and using nonpharmacologic delirium prevention and treatment approaches. The most important step in treating delirium is identifying, removing and treating the underlying cause(s) of delirium. Delirium is often a direct physiological consequence of another medical condition, substance intoxication or withdrawal, exposure to a toxin, or is due to multiple etiologies. Clinicians should therefore perform a detailed history and physical exam, order appropriate laboratory/diagnostic tests, conduct a thorough medication review, and discontinue any potentially deliriogenic medications. Because numerous medications or medication classes are associated with the development of delirium (e.g., benzodiazepines, anticholinergics, diphenhydramine, sedative-hypnotics), their administration on a prn basis should be avoided if possible. Moreover, due to the potential for harm and lack of sufficient evidence supporting the safety and efficacy of antipsychotics for the prevention and treatment of delirium, these medications should be administered only at the lowest effective dose, for the shortest amount of time, in patients who are severely agitated and/or at risk for harming themselves and/or others. In terms of delirium prevention, it is recommended health systems should implement multicomponent, nonpharmacologic interventions that are delivered consistently throughout hospitalization by the interdisciplinary team. Don’t assume a diagnosis of dementia in an older adult who presents with an altered mental status and/or symptoms of confusion without assessing for delirium or delirium superimposed on dementia using a brief, sensitive, validated assessment tool. of hospitalized older adults. Delirium is associated with very poor clinical outcomes, including prolonged length of stay, high costs and lower quality of life for older adults when not detected early. Delirium is treatable and often reversible and dementia is not, so mislabeling older adults with dementia may miss a life threatening underlying condition causing the delirium such as an infection, medication side effect or subdural hematoma. Delirium is extremely costly to the health care system and to society with estimates ranging from $143 to $152 billion annually. Nurses and physicians often fail to recognize delirium. Only 12–35% of delirium cases are detected in routine care, with hypoactive delirium and delirium superimposed on dementia most likely to be missed. Don’t routinely order a head CT to assess for shunt failure in children with hydrocephalus. Computerized tomography (CT) scans have been used for diagnostic imaging for more than 40 years, but it should not be assumed that a head CT is always needed in an evaluation for shunt failure. Because CT is the usual mode of imaging for children with hydrocephalus, these patients have a much higher cumulative radiation exposure than the average population. Children have an increased risk of cancer with exposure to higher cumulative radiation doses. CT scans should be performed only when warranted to reduce exposure to radiation and decrease the risk for radiation induced cancer. Consider using head ultrasounds when there is an open fontanel, or a rapid sequence magnetic resonance imaging (MRI) scan to reduce the amount of ionizing radiation exposure to pediatric patients with a ventricular shunt. A rapid sequence MRI is less expensive than a formal MRI and comparable in costs to CT scan. Because the rapid sequence MRI is quick, sedation is not needed, further reducing costs and medical risks of sedation. A CT scan can be used for emergencies and if the child has implanted metal or a device that is not compatible with an MRI. Don’t routinely order an EEG on neurologically healthy children who have a simple febrile seizure. Febrile seizures are the most commonly occurring seizures in the first 60 months of life. Caregiver anxiety can often lead to requests for neurodiagnostic testing. Attention should be directed at finding the cause of fever and treating it. Electroencephalogram (EEG) tests are costly and can increase caregiver and child anxiety without changing the outcome or course of treatment. EEG has not been shown to predict recurrence of febrile seizures or future epilepsy in patients with simple febrile seizures. EEG can be ordered for children that present with afebrile seizures, complex febrile seizures and in children with neurological insult. Don’t administer diazepam for muscle spasm following spine surgery in the elderly. Classic spine surgical treatment involves bilateral dissection of paraspinal muscles to expose the involved levels. Spasms of these muscles are common postoperatively. Treatment of these spasms should include both pharmacologic and non-pharmacologic interventions. Age-related changes in adults can affect both metabolism and drug elimination in the body, resulting in a prolonged half-life for medications. Among the benzodiazepines, diazepam is particularly problematic due to its long half-life and many active metabolites. Benzodiazepines can lead to over-sedation, potential for respiratory depression, increased risk of delirium, and extended in-hospital recovery time. Benzodiazepines have consistently been associated with falls in the aging population and should be avoided. Effective non-pharmacological interventions for use include heat, cold, repositioning, and massage. Don’t use lumbar puncture (LP) opening pressure as a reliable measure of intracranial pressure in children with severe chronic headache. There are many limitations with LP pressure measurement as it varies with patient position and level of the manometer. As a “snapshot in time,” it cannot be correlated with symptoms over time, and anesthetic agents can cause false readings. An intracranial monitor (bolt) measures intracranial pressure (ICP) over time as the patient goes about daily activities. Medical and surgical treatment decisions are based on relieving intracranial pressure. Inaccurate pressure readings can lead to unnecessary surgeries such as cranial vault expansion, shunt revisions and placement of lumbar-peritoneal shunts as well as unnecessary medical treatments. Don’t order “formal” swallow evaluation in stroke patients unless they fail their initial swallow screen. Dysphagia (difficulty swallowing) is a common disorder in patients who have suffered a stroke, occurring in 50–60% of acute stroke patients. It is associated with an increased risk of aspiration, pneumonia, prolonged hospital stay, disability, and death. Swallow screening is critical in the rapid identification of risk of aspiration in patients presenting with acute stroke symptoms. Because formal swallowing evaluation is not warranted in all patients with acute stroke, the purpose of a swallowing screen is to identify those who do not need a formal evaluation and who can safely take food and medication by mouth. Formal swallowing evaluations can be done in patients who don’t pass the initial screening. Don’t routinely use graduated compression stockings in surgical patients as mechanical prophylaxis for preventing venous thromboembolism (VTE) after surgery, but do consider using intermittent pneumatic compression devices. Thromboembolic disease is a significant cause of complications and mortality in hospitalized patients and a growing public health issue. Although anyone can develop a VTE, research shows that half of the VTE events in the outpatient setting are directly linked to a recent hospitalization. Many of these events can be prevented through pharmacological and/or mechanical VTE prophylaxis. Current guidelines that recommend mechanical devices demonstrate a preference for intermittent pneumatic compression-pc (IPC) devices with no recommendations for graduated compression stockings (GCS), except for women at high risk for VTE after cesarean delivery. These IPC devices minimize adverse effects to skin, promote patient comfort, and permit clinician assessment compared to graduated compression stockings. Don’t apply continuous cardiac-respiratory or pulse oximetry monitoring to children and adolescents admitted to the hospital unless condition warrants continuous monitoring based on objectively scored cardiovascular, respiratory, and behavior parameters. Nurses use continuous electrocardiography (ECG), respiratory, and pulse oximetry monitoring to track patient vital signs and trends, and to help identify signs of patient status deterioration. However, when pulse oximetry and physiologic monitoring are used inappropriately, significant cost burdens can affect the entire healthcare system. In addition, the high number of alarm alerts and level of noise created by these alarms leads to alarm fatigue. When high levels of false alarms occur in the work environment, clinically significant alarms may be masked by being silenced or unrecognized when clinicians become desensitized. In addition to alarm fatigue, continuous bedside monitoring of pediatric patients can provide a false sense of security that the patient is “safer” and that the nurse will note status changes in a patient more easily when a bedside monitor is used. Continuous bedside monitoring should not be used in place of hourly safety checks. Focused nursing assessments using a standardized early warning tool should be used to monitor changes in a pediatric patient’s status to identify deteriorations. Don’t use physical or chemical restraints, outside of emergency situations, when caring for long-term care residents with dementia who display behavioral and psychological symptoms of distress; instead assess for unmet needs or environmental triggers and intervene using non-pharmacological approaches as the first approach to care whenever possible. Behavioral and psychological symptoms of distress (BPSD) include aggression, agitation, wandering, disruptive vocalizations, anxiety, apathy, hallucinations, and depression. The majority of people living with dementia will experience these symptoms. They result in poor quality of life, more rapid cognitive and functional decline, high risk for abuse, caregiver burden, and tremendous cost to the US healthcare system. In fact, dementia care is among the most costly of diseases including diabetes, cancer and heart disease; and BPSD account for a staggering 30% of total dementia costs. Despite the high human and dollar costs associated with these symptoms, their treatment continues to challenge practitioners and remains a top research priority in long-term care settings. Because BPSD are often triggered by a change in physical condition, an unmet need or an environment that exceeds the person’s stress threshold, it is important that these triggers be addressed as the first line of treatment rather than resorting to physical or chemical restraint, which carry a risk for adverse effects. Don’t remove hair at the surgical site including the hair on the patient’s head, but if hair must be removed it should be clipped not shaved. Removing hair at the surgical site has long been believed to be associated with an increased rate of surgical site infections because of razor-induced microtrauma. Specifically, shaving the patient’s head prior to neurosurgery can disturb the natural protective effects of hair and skin flora, also causing micro-abrasions to the scalp that can increase the risk of infection. Postoperative wound infections increase the costs and the length of hospital stay. In any type of surgery there are times when hair removal should be considered. For example, during emergent craniotomies or any time a surgeon deems hair removal necessary for the surgical procedure. When hair removal is necessary, hair at the surgical site should be removed by clipping or depilatory methods. A razor should not be used. In a landmark nonexperimental study of 23,649 surgical wounds, Cruse (1973) found a 2.3% infection rate for surgical sites shaved with a razor, 1.7% for sites that were clipped, and 0.9% when no hair removal was performed. Yet shaving hair at the surgical site continues to be practiced. In addition, most patients dread the thought of having the hair on their head removed, and hair shaving can negatively affect their body image. The American Academy of Nursing serves the public and the nursing profession by advancing health policy and practice through the generation, synthesis, and dissemination of nursing knowledge. The Academy’s more than 2,300 fellows are nursing’s most accomplished leaders in education, management, practice, and research. They have been recognized for their extraordinary contributions to nursing and the promotion of the health of the public through evidence-based health policies. For more information about the American Academy of Nursing, visit www.AANnet.org. Alfirevic Z, Devane D, Gyte GM. Continuous cardiotocography (CTG) as a form of electronic fetal monitoring (EFM) for fetal assessment during labour. Cochrane Database Syst Rev. 2013 May 31;5:CD006066. Creedon D, Akkerman D, Atwood L, Bates L, Harper C, Levin A, McCall C, Peterson D, Rose C, Setterlund L, Walkes B, Wingeier R. Management of labor. Bloomington (MN): Institute for Clinical Systems Improvement (ICSI); 2013 Mar. 66 p.
Lawrence A, Lewis L, Hofmeyr GJ, Styles C. Maternal positions and mobility during first stage labour. Cochrane Database Syst Rev. 2013 Oct 9;10:CD003934. Bourbonniere M, Strumpf NE, Evans LK, Maislin G. Organizational characteristics and restraint use of hospitalized nursing home residents. J Am Geriatr Soc. 2003 Aug;51(8):1079-84. Evans LK, Cotter VT. Avoiding restraints in patients with dementia: understanding, prevention, and management are the keys. Am J Nurs. 2008 Mar;108(3):40-9; quiz 50. Evans LK, Strumpf NE. Two decades of research on physical restraint: impact on practice and policy. In Hinshaw AS, Grady PA (Eds. ), pp. 167-184. Shaping health policy through nursing research. New York (NY):Springer. Minnick AF, Mion LC, Johnson ME, Catrambone C, Leipzig R. Prevalence and variation of physical restraint use in acute care settings in the US. J Nurs Scholarsh. 2007;39(1):30-7. Pilkington S. Causes and consequences of sleep deprivation in hospitalized patients. Nurs Stand. 2013;27(49):35-42. Kamdar BB, Needham DM, Collop NA. Sleep deprivation in critical illness: its role in physical and psychological recovery. J Intensive Care Med. 2012 Mar-Apr;27(2):97-111. Kamdar BB, King LM, Collop NA, Sakamuri S, Colantuoni E, Neufeld KJ, Bienvenu OJ, Rowden AM, Touradji P, Brower RG, Needham DM. The effect of a quality improvement intervention on perceived sleep quality and cognition in a medical ICU. Crit Care Med. 2013 Mar;41(3):800-9. Gould CV, Umscheid CA, Agarwal RK, Kuntz G, Pegues DA; Healthcare Infection Control Practices Advisory Committee (HICPCA). Guideline for prevention of Catheter- Associated Urinary Tract Infections 2009. Centers for Disease Control. Atlanta (GA); 2009. 67 p.
Andreessen L, Wilde MH, Herendeen P. Preventing catheter-associated urinary tract infections in acute care: the bundle approach. J Nurs Care Qual. 2012 Jul-Sep;27(3):209-17. Saint S, Greene MT, Kowalski CP, Watson SR, Hofer TP, Krein SL. Preventing catheter-associated urinary tract infection in the United States: a national comparative study. JAMA Intern Med. 2013 May 27;173(10):874-9. Tenke P, Köves B, Johansen TE. An update on prevention and treatment of catheter-associated urinary tract infections. Curr Opin Infect Dis. 2014 Feb;27(1):102-7. Gosselin TK, Schneider SM, Plambeck MA, Rowe K. A prospective randomized, placebo-controlled skin care study in women diagnosed with breast cancer undergoing radiation therapy. Oncol Nurs Forum. 2010 Sep;37(5):619-26. Heggie S, Bryant GP, Tripcony L, Keller J, Rose P, Glendenning M, Heath J. A phase III study on the efficacy of topical aloe vera gel on irradiated breast tissue. Cancer Nurs. 2002 Dec;25(6):442-51. Kumar S, Juresic E, Barton M, Shafiq J. Management of skin toxicity during radiation therapy: a review of the evidence. J Med Imaging Radiat Oncol. 2010 Jun;54(3):264-79. McQuestion M. Evidence-based skin care management in radiation therapy: clinical update. Semin Oncol Nurs. 2011 May;27(2):e1-17. Merchant TE, Bosley C, Smith J, Baratti P, Pritchard D, Davis T, Li C, Xiong X. A phase III trial comparing an anionic phospholipid-based cream and aloe vera-based gel in the prevention of radiation dermatitis in pediatric patients. Radiat Oncol. 2007 Dec 19;2:45. Olsen DL, Raub W Jr, Bradley C, Johnson M, Macias JL, Love V, Markoe A. The effect of aloe vera gel/mild soap versus mild soap alone in preventing skin reactions in patients undergoing radiation therapy. Oncol Nurs Forum. 2001 Apr;28(3):543-7. Richardson J, Smith JE, McIntyre M, Thomas R, Pilkington K. Aloe vera for preventing radiation-induced skin reactions: a systematic literature review. Clin Oncol (R Coll Radiol). 2005 Sep;17(6):478-84. Salvo N, Barnes E, van Draanen J, Stacey E, Mitera G, Breen D, Giotis A, Czarnota G, Pang J, De Angelis C. Prophylaxis and management of acute radiation-induced skin reactions: a systematic review of the literature. Curr Oncol. 2010 Aug;17(4):94-112. Schnur JB, Graff Zivin J, Mattson DM Jr, Green S, Jandorf LH, Wernicke AG, Montgomery GH. Acute skin toxicity-related, out-of-pocket expenses in patients with breast cancer treated with external beam radiotherapy: a descriptive, exploratory study. Support Care Cancer. 2012 Dec;20(12):3105-13. Vogler BK, Ernst E. Aloe vera: a systematic review of its clinical effectiveness. Br J Gen Pract. 1999 Oct;49(447):823-8. Williams MS, Burk M, Loprinzi CL, Hill M, Schomberg PJ, Nearhood K, O’Fallon JR, Laurie JA, Shanahan TG, Moore RL, Urias RE, Kuske RR, Engel RE, Eggleston WD. Phase III double-blind evaluation of an aloe vera gel as a prophylactic agent for radiation-induced skin toxicity. Int J Radiat Oncol Biol Phys. 1996 Sep 1;36(2):345-9. Albers JW, Chaudhry V, Cavaletti G, Donehower RC. Interventions for preventing neuropathy caused by cisplatin and related compounds. Cochrane Database Syst Rev. 2011 Feb 16;(2):CD005228. Hershman DL, Lacchetti C, Dworkin RH, Lavoie Smith EM, Bleeker J, Cavaletti G, Chauhan C, Gavin P, Lavino A, Lustberg MB, Paice J, Schneider B, Smith ML, Smith T, Terstriep S, Wagner-Johnston N, Bak K, Loprinzi CL; American Society of Clinical Oncology. Prevention and management of chemotherapy-induced peripheral neuropathy in survivors of adult cancers: American Society of Clinical Oncology clinical practice guideline. J Clin Oncol. 2014 Jun 20;32(18):1941-67. Hershman DL, Unger JM, Crew KD, Minasian LM, Awad D, Moinpour CM, Hansen L, Lew DL, Greenlee H, Fehrenbacher L, Wade JL 3rd, Wong SF, Hortobagyi GN, Meyskens FL, Albain KS. Randomized double-blind placebo-controlled trial of acetyl-L-carnitine for the prevention of taxane-induced neuropathy in women undergoing adjuvant breast cancer therapy. J Clin Oncol. 2013 Jul 10;31(20):2627-33. Peripheral Neuropathy [Internet]. Pittsburgh (PA): Oncology Nursing Society; 2015 [cited 2015 Apr 6]. Available from: https://www.ons.org/practice-resources/pep/peripheral-neuropathy. Bower JE, Bak K, Berger A, Breitbart W, Escalante CP, Ganz PA, Schnipper HH, Lacchetti C, Ligibel JA, Lyman GH, Ogaily MS, Pirl WF, Jacobsen PB; American Society of Clinical Oncology. Screening, assessment, and management of fatigue in adult survivors of cancer: an American Society of Clinical Oncology clinical practice guideline adaptation. J Clin Oncol. 2014 Jun 10;32(17):1840-50. Fulcher CD, Kim HJ, Smith PR, Sherner TL. Putting evidence into practice: evidence based interventions for depression. Clin J Oncol Nurs. 2014 Dec;18 Suppl:26-37. Mitchell SA, Hoffman AJ, Clark JC, DeGennaro RM, Poirier P, Robinson CB, Weisbrod BL. Putting evidence into practice: an update of evidence-based interventions for cancer-related fatigue during and following treatment. Clin J Oncol Nurs. 2014 Dec;18 Suppl:38-58. NCCN clinical practice guidelines in oncology: cancer-related fatigue [v.1.2014]. Fort Washington (PA): National Comprehensive Cancer Network; 2014. Schmitz KH, Courneya KS, Matthews C, Demark-Wahnefried W, Galvão DA, Pinto BM, Irwin ML, Wolin KY, Segal RJ, Lucia A, Schneider CM, von Gruenigen VE, Schwartz AL; American College of Sports Medicine. American College of Sports Medicine roundtable on exercise guidelines for cancer survivors. Med Sci Sports Exerc. 2010 Jul;42(7):1409-26. Fatigue [Internet]. Pittsburgh (PA): Oncology Nursing ; 2015 [cited 2015 Apr 6]. Available from: https://www.ons.org/practice-resources/pep/fatigue. Dodd MJ, Dibble SL, Miaskowski C, MacPhail L, Greenspan D, Paul SM, Shiba G, Larson P. Randomized clinical trial of the effectiveness of 3 commonly used mouthwashes to treat chemotherapy-induced mucositis. Oral Surg Oral Med Oral Pathol Oral Radiol Endod. 2000 Jul;90(1):39-47. Eilers J, Harris D, Henry K, Johnson LA. Evidence-based interventions for cancer treatment-related mucositis: putting evidence into practice. Clin J Oncol Nurs. 2014 Dec;18 Suppl:80-96. Kuk, JS, Parpia S, Sagar SM, Tsakiridis T, Kim D, Hodson DI, Zywine C, Wright JR. A randomized phase III trial of magic mouthwash and sucralfate versus benzydamine hydrochloride for prophylaxis of radiation-induced oral mucositis in head and neck cancer. J Clin Oncol. 2011 May 20 ASCO Annual Meeting Abstracts Part 1:29(15);5521. Lalla RV, Bowen J, Barasch A, Elting L, Epstein J, Keefe DM, McGuire DB, Migliorati C, Nicolatou-Galitis O, Peterson DE, Raber-Durlacher JE, Sonis ST, Elad S; Mucositis Guidelines Leadership Group of the Multinational Association of Supportive Care in Cancer and International Society of Oral Oncology (MASCC/ISOO).MASCC/ISOO clinical practice guidelines for the management of mucositis secondary to cancer therapy. Cancer. 2014 May 15;120(10):1453-61. Peterson DE, Bensadoun RJ, Roila F; ESMO Guidelines Working Group. Management of oral and gastrointestinal mucositis: ESMO Clinical Practice Guidelines. Ann Oncol. 2010 May;21 Suppl 5:v261-5. Mucositis [Internet]. Pittsburgh (PA): Oncology Nursing; 2015 [cited 2015 Apr 6]. Available from: https://www.ons.org/practice-resources/pep/mucositis. Abernethy AP, McDonald CF, Frith PA, Clark K, Herndon JE 2nd, Marcello J, Young IH, Bull J, Wilcock A, Booth S, Wheeler JL, Tulsky JA, Crockett AJ, Currow DC. Effect of palliative oxygen versus room air in relief of breathlessness in patients with refractory dyspnoea: a double-blind, randomised controlled trial. Lancet. 2010 Sep 4;376(9743):784-93. Ben-Aharon I, Gafter-Gvili A, Leibovici L, Stemmer SM. Interventions for alleviating cancer-related dyspnea: a systematic review and meta-analysis. Acta Oncol. 2012 Nov;51(8):996-1008. Clemens KE, Quednau I, Klaschik E. Use of oxygen and opioids in the palliation of dyspnoea in hypoxic and non-hypoxic palliative care patients: a prospective study. Support Care Cancer. 2009 Apr;17(4):367-77. Kvale PA, Selecky PA, Prakash UB; American College of Chest Physicians. Palliative care in lung cancer: ACCP evidence-based clinical practice guidelines (2nd edition).Chest. 2007 Sep;132(3 Suppl):368S-403S. Parshall MB, Schwartzstein RM, Adams L, Banzett RB, Manning HL, Bourbeau J, Calverley PM, Gift AG, Harver A, Lareau SC, Mahler DA, Meek PM, O’Donnell DE; American Thoracic Society Committee on Dyspnea. An official American Thoracic Society statement: update on the mechanisms, assessment, and management of dyspnea. Am J Respir Crit Care Med. 2012 Feb 15;185(4):435-52. Uronis HE, Currow DC, McCrory DC, Samsa GP, Abernethy AP. Oxygen for relief of dyspnoea in mildly- or non-hypoxaemic patients with cancer: a systematic review and meta-analysis. Br J Cancer. 2008 Jan 29;98(2):294-9. Non-medically indicated induction and augmentation of labor. J Obstet Gynecol Neonatal Nurs. 2014 Sep-Oct;43(5):678-81. Bugg GJ, Siddiqui F, Thornton JG. Oxytocin versus no treatment or delayed treatment for slow progress in the fi stage of spontaneous labour. Cochrane Database Syst Rev. 2013 Jun 23;6:CD007123. Goer H, Roman A, Sakala A. Childbirth Connection. Vaginal or cesarean birth: What is at stake for women and babies? New York (NY): Childbirth Connection; 2012. 52 p. Available from: http://transform.childbirthconnection.org/reports/cesarean/. Institute for Safe Medication Practices. ISMP’s list of high-alert medications. ISMP Medication Safety Alert. 2007;5(8)1-4. Available from: http://www.ismp.org/Newsletters/nursing/Issues/NurseAdviseERR200708.pdf. Martin JA, Hamilton BE, Ventura SJ, Osterman MJ, Wilson EC, Mathews TJ. Births: final data for 2010. Natl Vital Stat Rep. 2012 Aug 28;61(1):1-72. Moore J, Low LK. Factors that influence the practice of elective induction of labor: what does the evidence tell us? J Perinat Neonatal Nurs. 2012 Jul-Sep;26(3):242-50. Moore JE, Low LK, Titler MG, Dalton VK, Sampselle CM. Moving toward patient-centered: women’s decisions, perceptions, and experiences of the induction of labor process. Birth. 2014 Jun;41(2):138-46. Zhang J, Troendle J, Reddy UM, Laughon SK, Branch DW, Burkman R, Landy HJ, Hibbard JU, Haberman S, Ramirez MM, Bailit JL, Hoff MK, Gregory KD, Gonzalez-Quintero VH, Kominiarek M, Learman LA, Hatjis CG, van Veldhuisen P; Consortium on Safe Labor. Contemporary cesarean delivery practice in the United States. Am J Obstet Gynecol. 2010 Oct; 203(4), 326.e1–326.e10. Opioid abuse, dependence, and addiction in pregnancy. ACOG committee opinion number 524. Washington (DC): American College of Obstetricians and Gynecologists. 2012 May. Available from: http://www.acog.org/Resources-And-Publications/Committee-Opinions/Committee-on-Health-Care-for-Underserved-Women/Opioid-Abuse-Dependence- and-Addiction-in-Pregnancy. Criminalization of pregnant women with substance use disorders. J Obstet Gynecol Neonatal Nurs. 2015 Jan-Feb; 44(1), 155–7. Medication use in pregnancy: a public health concern. Atlanta (GA): Centers for Disease Control and Prevention. 2015 Jan 16 [cited 2016 May 15]. Available from: http://www.cdc.gov/pregnancy/meds/treatingfortwo/facts.html. Opioid painkillers widely prescribed among reproductive age women. Atlanta (GA): Centers for Disease Control and Prevention. 2015 Jan 22 [cited 2016 May 22]. Available from: http://www.cdc.gov/media/releases/2015/p0122-pregnancy-opioids.html. Patrick SW, Schumacher RE, Benneyworth BD, Krans EE, McAllister JM, Davis MM. Neonatal abstinence syndrome and associated health care expenditures: United States, 2000-2009. JAMA. 2012 May 9;307(18):1934-40. Addressing prescription drug abuse in the United States: current activities and future opportunities. Washington (DC): Department of Health and Human Services. 2013 Sep. 36 p. Volkow ND. Prescription opioid and heroin use. Bethesda (MD): National Institute on Drug Abuse. 2014 Apr. Whiteman VE, Salemi JL, Mogos MF, Cain MA, Aliyu MH, Salihu HM. Maternal opioid drug use during pregnancy and its impact on perinatal morbidity, mortality, and the costs of medical care in the United States. J Pregnancy. 2014:906723. Section on Breastfeeding. Breastfeeding and the use of human milk. Pediatrics. 2012 Mar;129(3):e827-41. AWHONN position statement. Breastfeeding. J Obstet Gynecol Neonatal Nurs. 2015 Jan-Feb: 44(1);145-50. Brodribb W, Kruske S, Miller YD. Baby-friendly hospital accreditation, in-hospital care practices, and breastfeeding. Pediatrics. 2013 Apr;131(4):685-92. Conde-Agudelo A, Díaz-Rossello L. Kangaroo mother care to reduce morbidity and mortality in low birth weight infants. Cochrane Database Syst Rev. 2014 Apr 22;4:CD002771. Marín Gabriel MA, Llana Martín I, López Escobar A, Fernández Villalba E, Romero Blanco I, Touza Pol P. Randomized controlled trial of early skin-to-skin contact: effects on the mother and the newborn. Acta Paediatr. 2010 Nov;99(11):1630-4. Moore ER, Anderson GC. Randomized controlled trial of very early mother-infant skin-to-skin contact and breastfeeding status. J Midwifery Womens Health. 2007 Mar-Apr;52(2):116-25. Moore ER, Anderson GC, Bergman N. Early skin-to-skin contact for mothers and their healthy newborn infants. Cochrane Database Syst Rev. 2007 Jul 18;(3):CD003519. Breastfeeding key to saving children’s lives: ten steps to successful breastfeeding highlighted during World Breastfeeding Week. Geneva (Switzerland): World Health Organization. 2010 Jul 30. Available from: http://www.who.int/mediacentre/news/notes/2010/breastfeeding_20100730/en/. American Geriatrics Society abstracted clinical practice guideline for postoperative delirium in older adults. J Am Geriatr Soc. 2015 Jan;63(1):142-50. Diagnostic and statistical manual of mental disorders. (5th ed.). Washington (DC): American Psychiatric Association. 2013. Barr J, Fraser GL, Puntillo K, Ely EW, Gélinas C, Dasta JF, Davidson JE, Devlin JW, Kress JP, Joffe AM, Coursin DB, Herr DL, Tung A, Robinson BR, Fontaine DK, Ramsay MA, Riker RR, Sessler CN, Pun B, Skrobik Y, Jaeschke R; American College of Critical Care Medicine. Clinical practice guidelines for the management of pain, agitation, and delirium in adult patients in the intensive care unit. Crit Care Med. 2013 Jan;41(1):263-306. Campbell N, Boustani MA, Ayub A, Fox GC, Munger SL, Ott C, Guzman O, Farber M, Ademuyiwa A, Singh R. Pharmacological management of delirium in hospitalized adults—a systematic evidence review. J Gen Intern Med. 2009 Jul;24(7):848-53. By the American Geriatrics Society 2015 Beers Criteria Update Expert Panel. American Geriatrics Society 2015 Updated Beers Criteria for Potentially Inappropriate Medication Use in Older Adults. J Am Geriatr Soc. 2015 Nov;63(11):2227-46. Hawkins SB, Bucklin M, Muzyk AJ. Quetiapine for the treatment of delirium. J Hosp Med. 2013 Apr;8(4):215-20. Inouye SK, Marcantonio ER, Metzger ED. Doing damage in delirium: the hazards of antipsychotic treatment in elderly persons. Lancet Psychiatry. 2014 Sep 1;1(4):312-5. Voyer P, Champoux N, Desrosiers J, Landreville P, McCusker J, Monette J, Savoie M, Richard S, Carmichael PH. Recognizing acute delirium as part of your routine [RADAR]: a validation study. BMC Nurs. 2015 Apr 1;14:19. Fick DM, Steis MR, Waller JL, Inouye SK. Delirium superimposed on dementia is associated with prolonged length of stay and poor outcomes in hospitalized older adults. J Hosp Med. 2013 Sep;8(9):500-5. Steis MR, Fick DM. Delirium superimposed on dementia: accuracy of nurse documentation. J Gerontol Nurs. 2012 Jan;38(1):32-42. Kolanowski AM, Fick DM, Yevchak AM, Hill NL, Mulhall PM, McDowell JA. Pay attention! The critical importance of assessing attention in older adults with dementia. J Gerontol Nurs. 2012 Nov 15;38(11):23-7. Leslie DL, Inouye SK. The importance of delirium: economic and societal costs. J Am Geriatr Soc. 2011 Nov; 59 Suppl 2:S241-3. Williams KN, Herman RE. Linking resident behavior to dementia care communication: eff of emotional tone. Behav Ther. 2011 Mar;42(1):42-6. doi: 10.1016/j. beth.2010.03.003. Epub 2010 Oct 1. Fick DM, Hodo DM, Lawrence F, Inouye SK. Recognizing delirium superimposed on dementia: assessing nurses’ knowledge using case vignettes. J Gerontol Nurs. 2007 Feb;33(2):40-7. Tekes A, Jackson EM, Ogborn J, Liang S, Bledsoe M, Durand DJ, Jallo G, & Huisman TAGM. How to reduce head CT orders in children with hydrocephalus using the lean six sigma methodology: experience at a major quaternary care academic children’s center. Am J Neurorad. 2016: jan 21, 2016 as 10.3174/ajnr.A4658. Brenner D, Elliston C, Hall E, Berdon W. Estimated risks of radiation-induced fatal cancer from pediatric CT. AJR Am J Roentgen 2001:176(2)289-96. Hall EJ, Brenner DJ. Cancer risks from diagnostic radiology. Br J Radiol 2008;81:362–78. Miglioretti, DL, Johnson, E, Williams, A, Greenlee, RT, Weinmann, S, Solberg, LI, Feigelson, HS, Roblin, D, Flynn, MJ, Vanneman, N, Smith-Bindman, R. The use of computed tomography in pediatrics and the associated radiation exposure and estimated cancer risk. JAMA Pediatr. 2013;167(8):700-707. doi:10.1001/jamapediatrics.2013.311. Pearce MS, Salotti JA, Little MP, et al. Radiation exposure from CT scans in childhood and subsequent risk of leukemia and brain tumours: a retrospective cohort study. The Lancet 2012;380:499 – 505. Ashley WW, McKinstry RC, Leonard JR, Smyth MD, Lee BC, & Park TS. Use of rapid-sequence magnetic resonance imaging for evaluation of hydrocephalus in children. Journal of Neurosurgery: Pediatrics. 2005. Vol. 103(2), 124-130. O’Neill BR, Pruthi S, Bains H, Robison R, Ojemann J, Ellenbogen R, Avellino A, Browd S. Rapid sequence magnetic resonance imaging in the assessment of children with hydrocephalus. World Neurosurgery, 2013: 80(6), e307-e312. American Academy of Pediatrics Subcommittee on Febrile Seizures. (2011). Febrile seizures: guidelines for the neurodiagnostic evaluation of the child with a simple febrile seizure. Pediatrics, 127 (2), 389-394. El-Radhi, A., Sahib, A. (2015). Management of seizures in children. British Journal of Nursing. 24 (3), 152-155. Graves, R.C., Oehler, K., Tingle, L.E. (2012) Febrile seizures: risks, evaluation, and prognosis. American Family Physician. 15(85), 149-153. Harini, C., Nagarajan, E., Kimia, A., de Carvalho, R., An, S., Bergin, A., Takeoka, M., Pearl, P., Loddenkemper, T. (2015) Utility of initial EEG in first complex febrile seizure. Epilepsy and Behavior. 52 (PT A), 200-204. Oluwabusi, T., Sood, S.K. (2012) Update on the management of simple febrile seizures: Emphasis on minimal intervention. Current Opinion in Pediatrics. 24 (2) 259-265. Choma, T., Rechtine, G., McGuire, R., Brodke, D. (2015) Treating the aging spine. Journal of American Academy of Orthopedic Surgeons. 23(12) 91-100. Epstein, N.E. (2011) Spine surgery in geriatric patients: sometimes unnecessary, too much, or too little. Surgical Neurology International. 2, 188-194. Garrido, M.M., Prigerson, H.G., Penrod, J.D., Jones, S.C., Boockvar, K.S. (2014). Benzodiazepine and sedative-hypnotic use among older seriously ill veterans: Choosing wisely? Clinical Therapeutics. 36(11) 1547-1554. Huang, A.R., Mallet, L., Rochefort, C.M., Eguale, T., Buckeridge, D.L., Tamblyn, R. (2012) Medication related falls in the elderly: causative factors and preventive strategies. Drugs & Aging. 29950 359-376. Neutel, C.I., Perry, S., Maxwell, C. (2002) Medication use and risk of falls. Pharmacoepidemiology Drug Safety. 11(2)97-104. Baird LC, Gonda D, Cohen SR, Evers LJ, LeFloch N, Levy ML, Meltzer HS. “Craniofacial reconstruction as a treatment for elevated intracranial pressure.” Child’s Nervous System. 2012; 28(3):411-418. Cartwright CC & Igbaseimokumo U. “Lumbar puncture opening pressure is not a reliable measure of intracranial pressure in children.” Journal of Child Neurology. 2014; 30(2):170-3. Eidlitz-Markus T, Stiebel-Kalish H, Rubin Y, Shuper A. CSF pressure measurement during anesthesia: an unreliable technique. Paediatric Anaesthesia. 2005; 15:1078-1082. Horton CH. “Continuous intracranial pressure monitoring: a last resort in pseudotumor cerebri.” Journal of Neuro-Ophthalmology. 2011; 31:199-201. Warden KF, Alizai AM, Trobe JD, Hoff JT. Short-term continuous intraparenchymal intracranial pressure monitoring in presumed idiopathic intracranial hypertension. Journal of Neuroophthalmology. 2011; 31:202-205. Wiegand C & Richards P. “Measurement of intracranial pressure in children: a critical review of current methods.” Developmental Medicine and Child Neurology. 2007; 49:935-941. Jauch, E., Saver, J., Adams, H., Bruno, A., Connors, J., Demaerschalk, B., Khatri, P., et al. ( 2013) AHA / ASA guidelines for the early management of patients with acute ischemic stroke: A guideline for healthcare professionals from the American Heart Association / American Stroke Association. Stroke. 44, 870-947. Kenmuir, C., Hammer, M., Tudor, J., Reddy, V., Wechsler, L., Jadhav, A., (2015). Predictors of outcome in patients presenting with acute ischemic stroke and mild stroke scale scores. Journal of Stroke and Cerebrovascular Disease. 24(7) 1685-1689. Martino, R., Maki, E., Diamant, N. (2014) Identification of dysphagia using the Toronto Bedside Swallowing Screening Test (TOR-BSST): Are 10 teaspoons of water necessary? International Journal of Speech-Language Pathology. 16 (3): 193-198. Schepp, S., Tirschewll, D., Miller, R., Longstreth, W. (2012) Swallowing screens after acute stroke: A systematic review. Stroke. 43, 869-871. Summers, D. Leonard, A., Wentworth, D., Saver, J., Simpson, J., Spilker, J., Hock, N…et al. (2009). Comprehensive overview of nursing and interdisciplinary care of the acute ischemic stroke patient. A scientific statement from the American Heart Association. Stroke. 40, 1-35. Dunn N, Ramos R. Preventing Venous Thromboembolism: The Role of Nursing With Intermittent Pneumatic Compression. Am J Crit Care. 2017 Mar; 26(2):164-167. Guyatt GH, Akl EA, Crowther M, Gutterman DD, Schuünemann HJ; American College of Chest Physicians Antithrombotic Therapy and Prevention of Thrombosis Panel. 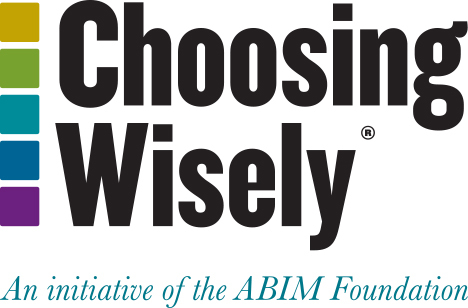 Executive summary: Antithrombotic Therapy and Prevention of Thrombosis, 9th ed: American College of Chest Physicians Evidence-Based Clinical Practice Guidelines. Chest. 2012 Feb; 141(2 Suppl):7S-47S. Kakkos SK, Caprini JA, Geroulakos N, Stansby G, Reddy DJ, Ntouvas I. Combined intermittent compression and pharmacologic prophylaxis for prevention of venous thromboembolism. Cochrane Database of Systematic Review. 2016, Issue 9. No: CD005258. Qaseem A, Chou R, Humphrey LL, Starkey M, Shekelle P; Clinical Guidelines Committee of the American College of Physicians. Venous thromboembolism prophylaxis in hospitalized patients: a clinical practice guideline from the American College of Physicians. Ann Intern Med. 2011 Nov 1;155(9):625-32. Raskob GE, Silverstein R, Bratzler DW, Heit JA, White RH. Surveillance for deep vein thrombosis and pulmonary embolism: recommendations from a national workshop. Am J Prev Med. 2010 Apr;38 (4 Suppl): S502-9. Fuijkschot, J., Vernhout, B., & Lemson, J., Draaisma, J.,. (2015). Validation of a Paediatric Early Warning Score: first results and implications of usage. European Journal of Pediatrics, 174(1), 15-21. doi:10.1007/s00431-014-2357-8. Gazarian, P. K. (2014). Nurses’ response to frequency and types of electrocardiography alarms in a non-critical care setting: a descriptive study. Int J Nurs Stud, 51(2), 190-197. doi:10.1016/j.ijnurstu.2013.05.014. Karnik, A., Bonafide, C.P. (2015). A framework for reducing alarm fatigue on pediatric inpatient units. Hospital Pediatrics, 5(3), 160-163. Murray, J. S. W., L.A.; Pignataro, S.; Volpe, D. (2015). An integrative review of pediatric early warning system scores. Pediatric Nursing, 41(4), 165-174. Sendelbach, S., Wahl, S., Anthony, A., & Shotts, P. (2015). Stop the Noise: A Quality Improvement Project to Decrease Electrocardiographic Nuisance Alarms. Crit Care Nurse, 35(4), 15-22; quiz 11p following 22. doi:10.4037/ccn2015858. Evans, L. K., & Strumpf, N. E. (1989). Tying down the elderly. A review of the literature on physical restraint. Journal of the American Geriatrics Society, 37(1), 65-74. Kales, H. C., Gitlin, L. N., Lyketsos, C. G., & Detroit Expert Panel on Assessment and Management of Neuropsychiatric Symptoms of Dementia. (2014). Management of neuropsychiatric symptoms of dementia in clinical settings: Recommendations from a multidisciplinary expert panel. Journal of the American Geriatrics Society, 62(4), 762-769. doi:10.1111/jgs.12730. Kolanowski, A. M., Litaker, M., Buettner, L., Moeller, J., & Costa, P. (2011). A Randomized Clinical Trial of Theory-based Activities for the Behavioral Symptoms of Dementia in Nursing Home Residents. Journal of The American Geriatrics Society, 59(6), 1032-1041. Kovach, C. R., Logan, B. R., Joosse, L. L., & Noonan, P. E. (2012). Failure to identify behavioral symptoms of people with dementia and the need for follow-up physical assessment. Research in Gerontological Nursing, 5(2), 89-93. doi:10.3928/19404921-20110503-01. Kovach, C. R., Logan, B. R., Noonan, P. E., Schlidt, A. M., Smerz, J., Simpson, M., & Wells, T. (2006). Effects of the Serial Trial Intervention on discomfort and behavior of nursing home residents with dementia. American Journal of Alzheimer’s Disease and Other Dementias, 21(3), 147-155. doi:10.1177/1533317506288949. Maust, D. T., Kim, H. M., Seyfried, L. S., Chiang, C., Kavanagh, J., Schneider, L. S., & Kales, H. C. (2015). Antipsychotics, other psychotropics, and the risk of death in patients with dementia: Number needed to harm. JAMA Psychiatry, 72(5), 438-445. doi:10.1001/jamapsychiatry. Cruse, PJ. A five-year prospective study of 23,649 surgical wounds. Arch Surg. 1973;107(2):206–210. National Institute for Health and Care Excellence. (2013). Surgical site infection. Quality standard [QS49]. Retrieved from https://www.nice.org.uk/Guidance/QS49. Sebastian, S. (2012). Does preoperative scalp shaving result in fewer postoperative wound infections when compared with no scalp shaving? A systematic review. J Neurosc Nurs. 44(3):149-156. Tanner J, Norrie P, Melen K. Preoperative hair removal to reduce surgical site infection. Cochrane Database Syst Rev. 2011;11:CD004122. Tanner, J., Moncaster, K., & Woodings, D. “Preoperative Hair Removal: A Systematic Review”. Journal of Perioperative Practice 17.3 (2007): 118-121, 124-132. Print. WHO: Patient Safety. WHO Guidelines for Safe Surgery. 2009.